Watercolors and Drawings by Gavarni. National Gallery of Art, Washington. 1953-1954. 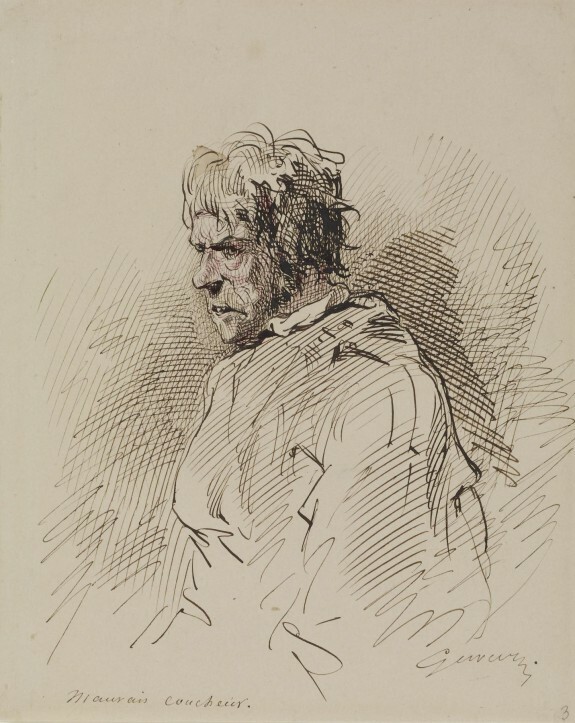 The Essence of Line: French Drawings from Ingres to Degas. The Walters Art Museum, Baltimore; Baltimore Museum of Art, Baltimore; Birmingham Museum of Art, Birmingham; Tacoma Art Museum, Tacoma. 2005-2006. Provenance William T. Walters, Baltimore, 1865, by purchase [George A. Lucas as agent]; Henry Walters, Baltimore, 1894, by inheritance; Walters Art Museum, 1931, by bequest.